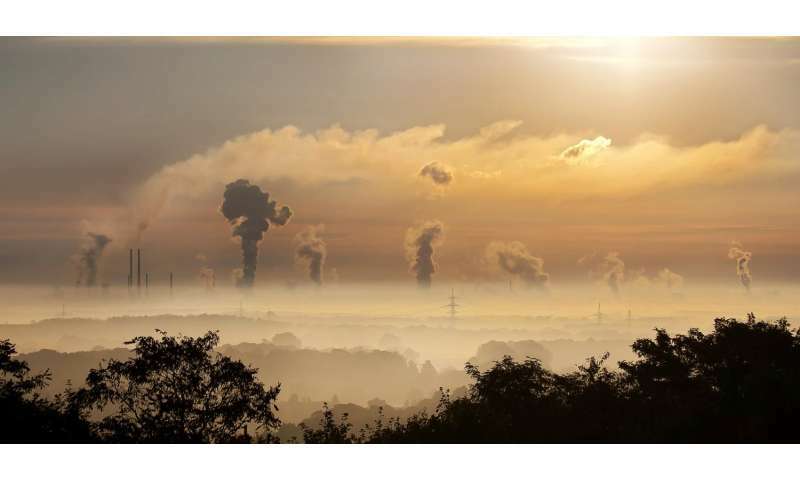 Climate scientists at the Met Office Hadley Centre have shown that the early mitigation needed to limit eventual warming below potentially dangerous levels has a climate 'payback' much earlier than previously thought. Lead scientist Andrew Ciavarella explains: "Our study has shown that efforts to reduce global temperature rise in the long term—through aggressive reductions in greenhouse gas emissions—can halve the risk of heat extremes within two decades." The study—published in the journal Nature Climate Change—investigates how quickly benefits of mitigation could be realised through any reduction in the occurrence of extreme seasonal temperatures over land. The team focussed on model results from future scenarios of a rapidly-warming world: one without any action to reduce emissions; and one where emissions are reduced enough to keep long-term global warming below 2 °C above pre-industrial times. Ciavarella and the team discovered that it takes less than 20 years in many regions for the risk of extreme seasonal temperatures (one-in-ten-year extreme heat events) to halve following the start of aggressive emissions reductions. Andrew Ciavarella added: "We show that the global exposure to climate risk is reduced markedly and rapidly with substantial reductions of greenhouse gas emissions. It had been thought previously that most of the benefits of mitigation would have been hidden by natural climate variability until later in the century." Prof Peter Stott—a fellow author on the paper—is the Acting Director of the Met Office Hadley Centre and part of the Mathematics department at the University of Exeter. He said: "It is necessary to reduce greenhouse emissions rapidly to help avoid the most dangerous impacts of climate change but it had been thought that most of the benefits of this early mitigation would be felt only much later in the century. "This new research shows that many people alive today could see substantial benefits of efforts to reduce emissions thanks to a greatly reduced risk of heat waves in as little as two decades." The paper—Early benefits of mitigation in risk of regional climate extremes—is published in the journal Nature Climate Change. First, we have to get back control of our governments. Conservative Capitalism will kill us. Business and government are not the same. Business is concerned with money, while government is concerned with people. If we put a businessman in government, we get lead pollution in Flint.